In this fascinating book, Hiroshi Motoyama describes his unique model of mind/body interactions. In addition, he describes a number of meditation and Yoga exercises that can help his readers awaken their "chakras", the body's "circles of light". Motoyama is to be commended for taking a strong ethical stance, urging causation when working toward "emancipation" and stressing the need for "balance". His familiarity with a multitude of wisdom traditions has resulted in a profound book that will be great benefit to many people who are seeking earnestly for meaning in their lives. It is an outstanding book from both the scientific and spiritual points of view. The chakras and other components of the human energy field were largely brought to the attention of the Western world by clairvoyant Charles W. Leadbeater. Leadbeater's pioneering work is discussed in detail in this fascinating exploration of the subtle body along with that of other respected seers and yogis. Dr. Hiroshi Motoyama is an author of over twenty books, including Karma and Reincarnation and Toward a Superconsciousness: Meditational Theory and Practice. Hiroshi Motoyama is one of my favourite writers. His depth of knowledge comes from deep practice and a highly evolved soul. Bridge to Higher Consciousness is a superb analysis - no hype or guesswork - Motoyama speaks humbly from his profound experience in this area. 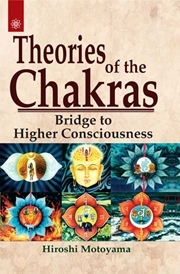 The book includes asana, pranayama, bandha and mudra for chakra awakening. What I really found unique was his descriptions of the direct experiences, from Leadbeater, Swami Satyananda and himself. This, in itself, makes the book unique and allows people to open up to their own, individual experience. Hiroshi Motoyama is one of my favourite writers. His depth o ..